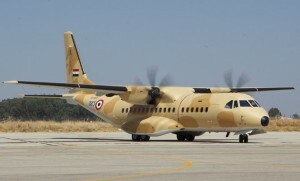 The RAAF might have given them a pass, but the Royal Air Force of Oman has ordered eight C295s from Airbus Military. Five of the aircraft will be configured as tactical transports while the remaining three will serve as maritime patrol aircraft, Airbus said. Deliveries are slated to begin next year. Airbus said the order from the Gulf country confirms the C295s “excellent performance” in desert environments. The order brings global C295 orders to 108, with 85 currently in operation with 13 countries. Australia this month chose Alenia’s C-27J airlifter as a replacement for the retired Caribou, despite a hard push by Airbus in favour of the C295. Airbus responded to the decision with an unusually harsh statement, saying the C295 was never given a fair chance.